What was his motive? Why did he do it? Why did Stephen Paddock, 64, rent rooms at the Mandalay Bay hotel, sneak in an arsenal of guns, a dozen of them converted to fully automatic, and rain down death on a country music concert? "We will never know," writes columnist Eugene Robinson. "There can be no rational argument for mass murder ... nothing can really explain the decision to spray thousands of concertgoers with automatic weapons fire, killing at least 59 and injuring hundreds more." But while there can be no justification for mass murder, there is an explanation. And like Edgar Allan Poe's "Purloined Letter," it is right there in front of us, in plain sight. Having chosen to end his life, Paddock resolved to go out in a blaze of publicity. This nobody would leave this life as somebody we would have to remember. He would immortalize himself, as did Lee Harvey Oswald. Reportedly, Paddock even filmed himself during his massacre. Ex-Marine sniper Charles Whitman, who murdered his wife and mother, and then climbed up into the Texas University Tower in Austin, 50 years ago, to shoot down 46 people and kill 15, is the prototype. Whitman's slaughter ended after 96 minutes when a cop climbed up in that tower and shot him. Yet, half a century on, Whitman remains famous. Many of us can yet recall his name and face. Like Eric Harris and Dylan Klebold before Columbine, and Dylan Roof before his sickening atrocity at the black church in Charleston, Paddock wanted to live on as one of the great mass murderers in U.S. history. And he has succeeded. We are today paying him in the currency he craved. He is famous, and we have made him so. Monday, the president spoke at the White House on the "act of pure evil" Paddock perpetrated Sunday night. Network and cable TV anchors and correspondents stampeded to Las Vegas to dig into his background and motivation. Commentators discoursed on the meaning of it all. Congress is aflame with demands for gun laws against "bump stocks" that turn semiautomatic AR-15s and AK-47s to fully automatic. Paddock's deeds pushed Puerto Rico and North Korea out of the headlines. By Wednesday, Trump himself was in Vegas. Five days later, police and FBI are still searching for the "motive." Whatever caused Paddock to conclude that ending his life was preferable to living it is not the crucial question. Suicides are not uncommon in America. About three of every four are carried out by white males; 121 are committed daily, with gunshot a common method. The real question is what turned Paddock into a psychopath without conscience or a moral code that would scream to him that what he was planning was pure evil. Unlike ISIS terrorists who believe they are soldiers of Islam doing the will of Allah and will achieve paradise for slaughtering infidels, Stephen Paddock did not believe anything like this. He coolly and patiently plotted mass murder almost for sport. He rented a hotel suite with windows overlooking a coming country music concert, his fighting fort. He ferried in, over five days, half his home arsenal of 40-some guns, with the semi-automatic assault rifles modified to fire fully automatic. He installed cameras to alert him to when police were about to break in and kill him. Then he smashed the windows on his 32nd-floor suite and began firing for 12 minutes. 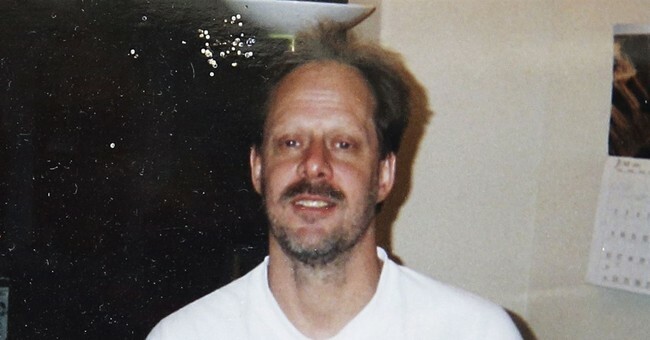 Paddock murdered 59 people he did not know and against whom he had no grievance. How did he come to be a man who treated fellow humans as vermin? And does this say something about our civilization? In "The Brothers Karamazov," novelist Fyodor Dostoevsky has his character Ivan say, "If God is dead, all things are permissible." What Ivan meant is that if God does not exist, the idea of God's law, of heaven or hell as reward or punishment, is nonsense. And if it is, there is no man-made law that can deter men who have decided to "end it all." Consider. Nevada has a death penalty for the mass murder Paddock was preparing to commit. But as he had already decided to end his life after shooting scores of innocent people, no death penalty or any other threatened state punishment could deter him. Why not carry out his atrocity and end his life knowing that, within days, all of America would know who Stephen Paddock was? In Shakespeare, Hamlet declares, "Conscience doth make cowards of us all." And so, fearing damnation, Hamlet recoils from ending his life or exacting revenge on the king he believes seduced his mother into complicity in the murder of his father. In Stephen Paddock, the conscience was dead. He was a dead soul, a moral nihilist, a post-Christian man in a post-Christian age, a monster. Yet, we are going to see more such men, for we no longer have a convincing answer to that oldest of questions, "Why not?"